85,000 Israelis turned out for this year's Rabin memorial rally, co-hosted by Darkenu and Commanders for Israel's Security. Exactly twenty-two years ago to the day, on the very same spot, Israeli Prime MInister Yitzhak Rabin was murdered after months of the sort of incitement, hate and violence that is once again rising in Israel. 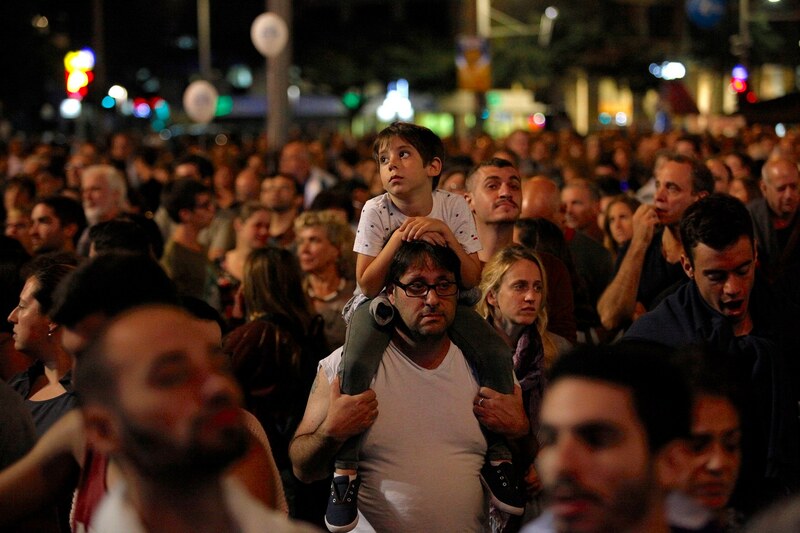 Darkenu gathered Israel’s moderate majority in the square, moderates from the left and the right, the religious and the secular community, who joined together in determination to never again let extremists determine the country’s future again.